I just posted this. Damn. 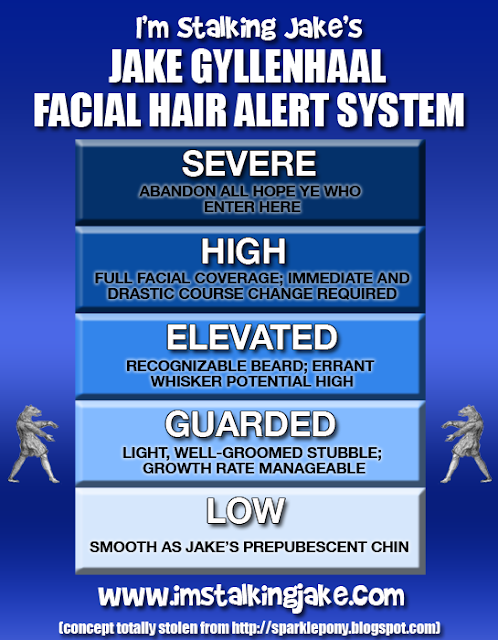 I don't think i am going out on the limb in thinking that a memer of what's left of Jake's online fandom did this. Poor job all around and I also noticed the weird "halo" around his head, you can actually see Jake's head and the original guys hair. It looks like a very tacky hotel room but also looks very dated/vintage. I bet they came across some vintage site, probally gay with pics like this. The Grace Jones pose makes me think the original pic is from the 80's? What I find really amusing is that some people actually think it's real, LOL!!! PS: What's up with his fingers on his left hand, they look like twigs and his right foot looks like it was chopped off. 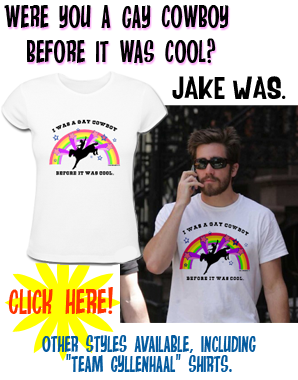 I'm sure you know that Jake Gyllenhaal is gay as a goose - only an idiot would belive Jake's "relationship" with Taylor Swift was a relationship. Off your meds again? The pic is fake?? Too bad, all that "work" for nothing, LOL!!! The month of February called to remind you how much I don't care. this is TOO funny. Anyone who has seen Jake's body can see this is NOT him. He's got bigger parts (wink) better looking tushie than this guy has. So...turns out I was WRONG! 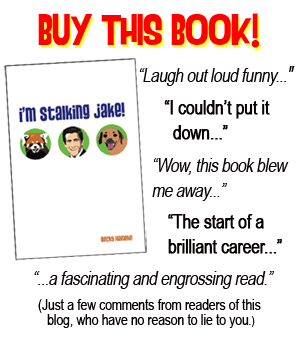 Jake was not actually oblivious in this case and has issued a cease and desist (!!) (not to me...but I'm not that important). More HERE. I have never seen this before and dammit if I'm not excited for him for fighting back. OWN YOUR ONLINE SELF, JAKE. I think the reason Jake is fighting back this time because its insulting to his body. Gay as a goose? Thats all you got, are you Blake Shelton's sibling? What a homophobe, but deseperate measures call for deseperate comparisons. As a member of the geese population, I take offense at the generalization. And I guess I am also a member of the idiot population too. I can understand Jake not being happy this one is making the rounds. Call me crazy, but the fuss over this pic makes me think it's real. Ha ha hahaha ha ha. God, what we would have given back in the day to be threatened by Jake's lawyers! Judging by this we certainly deserved it; we photoshopped waaaaaay worse things - we put a puggle's head on his body! Anyways, yeah, it wasn't a serious relationship. It was casual. Very casual.Taylor Swift just went all dramatic when they broke up (a little too dramatic, like for her last 4 celebrity boyfriends who dumped her) LOL.